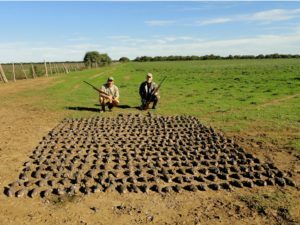 When we booked our trip with TGB Outfitters to hunt big game in Argentina, we weren’t quite sure what to expect but we couldn’t have had a better experience! The lodging is very comfortable and clean, the food and wine were some of the best we have ever had and the hunting exceeded our expectations. Of course our hosts and guides including owner Ale Trigo were very kind and warm and we couldn’t wait to wake up in the morning and see how the day would unfold. Being from the East Coast – the travel and recovery time were much easier than our trips to Africa. We were able to successfully harvest several incredible animals including a gorgeous red stag, a fallow deer, an axis deer and a blackbuck – they all hang proudly on our walls at home. I can say that we expect to return to hunt again with TGB – very highly recommended! 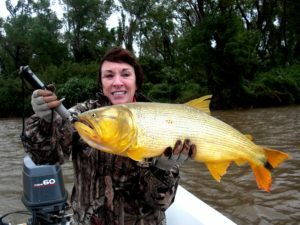 TGB Outfitters is a first class operation: Food, lodging and staff made the experience more than memorable! 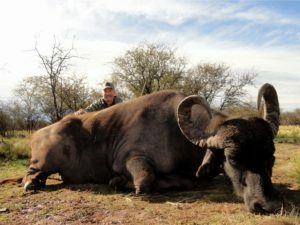 However, the reason I went was because of their reputation as an outfitter that could provide world-class big game hunting. I thought it would be good but that is an understatement, the quality both in size and quantity of animals was amazing. 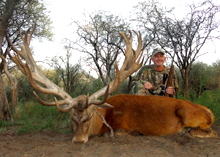 I have hunted with outfitters on four different continents and TGB Outfitters rates with them all. All that said, the most important experience I came away with is new friends! AT and his family made me feel at home and I cannot express my gratitude for that sense of home no matter where we are! Thanks Ale! when’s our next hunt? Hunting with TGB was truly a hunting trip I will never forget. Not only did we see lots of trophy quality game, have a wonderful place to stay, eat meals that were second to none but I got the opportunity to meet people that I still communicate with on a fairly regular basis. I have two regrets with my hunt, one is that I did not take my wife along, she would have loved the ranch and the people there, along with all the wonderful food. The second regret I have was not taking the time to bird hunt while I was there. If you are an upland bird hunter this is a wonderful place to shoot until your shoulder can’t take it anymore. 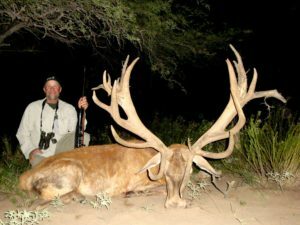 The actual species that I enjoyed hunting the most was the Black Buck, this particular hunt takes place in terrain similar to western North Dakota, where I grew up hunting North American Prong Horn Antelope. 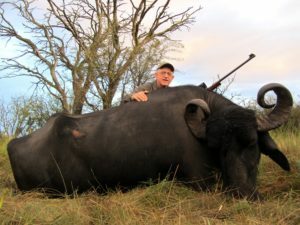 It was a challenging hunt offering the need for stealth, long range shooting abilities and an opportunity to see a number of wild animals native to the country, unlike any other place in the world. If you plan on making the trip, make sure you take the time to spend a couple days in Buenos Aires. There are some amazing sights that you will never see any place else in the country. You can visit historical sites throughout the city, including churches, the above ground cemetery which contains the remains of many famous individuals in Argentina history. The architecture within the confines of the walls around the cemetery is amazing. If you are there on the weekend you can get a chance to visit the weekend open air market where hand crafted original items can be purchased from local vendors. All in all the experience was one which I will never forget, nor will I forget the people that made it as welcoming and fulfilling as any one trip I have ever been on. “I would like to share my positive experience and very high opinion of Alejandro Trigo. Me, my son and my son-in-law had the opportunity to hunt with Alejandro and his team. We had a great experience due to the excellent communications, accommodations and execution by TGB Outfitters ARGENTINA, Alejandro and his entire team. 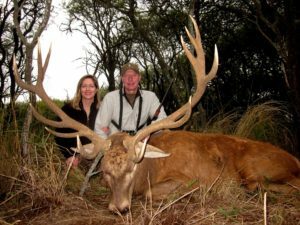 “This was my first hunting trip in Argentina. We were fortunate to win the live auction item that TGB Outfitters donated at one of the SCI Conventions in Las Vegas. Our hunt took place the following year and all 3 of us in our hunting party were successful with the animals we were pursing. The hospitality, professionalism and accommodations far exceeded our expectations. All of AT’s guides and very skilled and worked hard to put us on the caliber of trophies we were looking for. 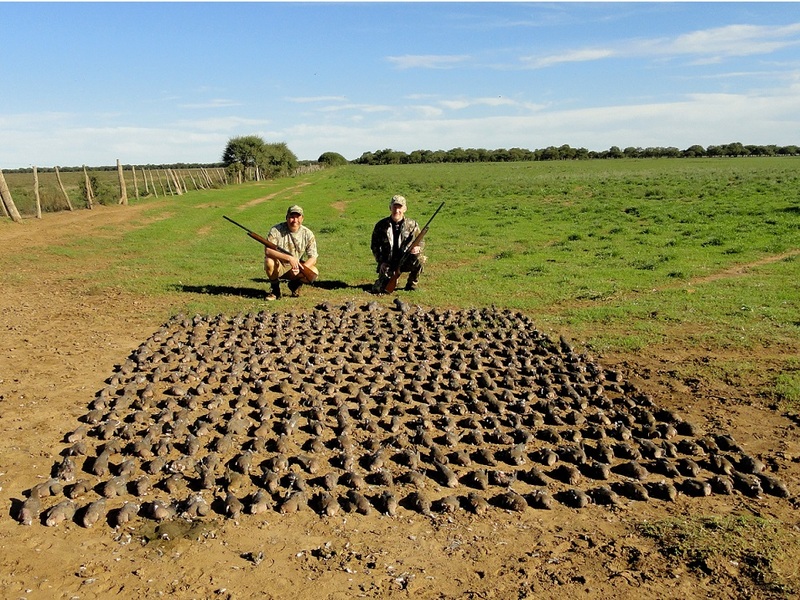 We also got to experience our first Argentina dove hunt and had a blast. The lodge, Argentinian food and wine were amazing!! The operation is top notch and can cater to every level of hunter. Excellent accommodations with an emphasis on the client. I have hunted around the globe and consider TGB my favorite destination! “Hunting with TGB Outfitters was a great experience! Hunters will leave feeling like part of the family. 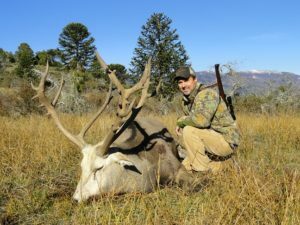 “I want to start by saying what a wonderful relaxing time we had with Alejandro and TGB Outfitters. Everything from per arrangement information on traveling to Argentina. Changing flights, adding time in Buenos Aries, all was seamless. 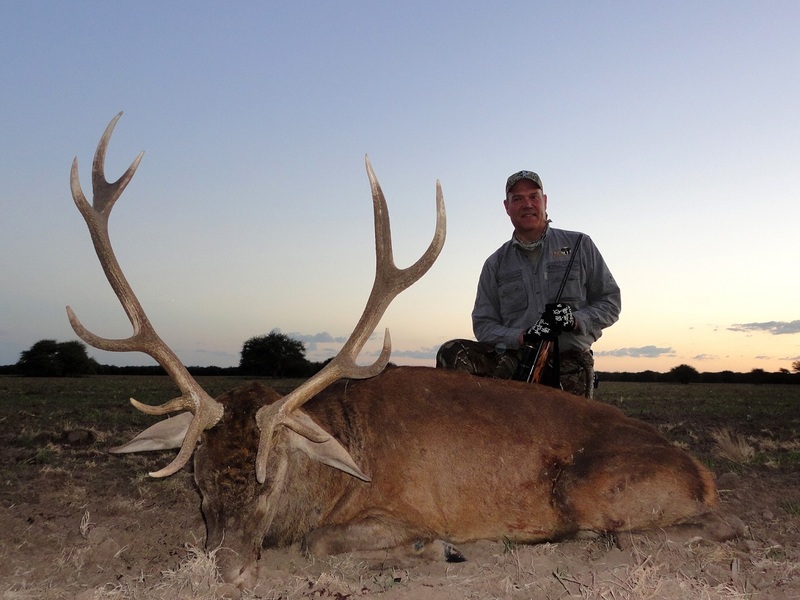 Our first trip to Argentina was for mainly Red Stag, but turned out to be much much more. My wife and I, and three other couple decided to book this trip. Once we arrived on the ranch the hunting began!! Great guides and unbelievable game animals, but most of all, great company and new friends. We harvested 23 trophies on that trip and had them shipped back to the states. Alejandro, and his staff took care of all are needs, from the laundry service to the food and wine, even a birthday cake for the wife!! 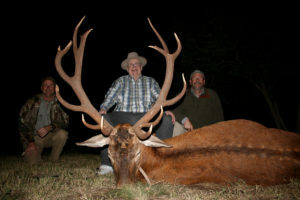 I enjoyed myself so much and was so comfortable at the lodge, that I decide to bring my 74 year old father and brother back down for wing shooting and Red Stag, the following year. We were able to get my dad in a blind despite his disabilities for the Red Stag. We were successful, and again, Great time!! Turns out this would be my father’s last hunt due to his medical condition. “TGB Outfitters showed me a wonderful time during a recent visit. Great hunting and guides, great cooking including open-coal BBQ and the staff was wonderful. “Dear AT and Danielle, just wanted to drop you a line and tell you what a fantastic time we had at your ranch. We missed being there as soon as we left! 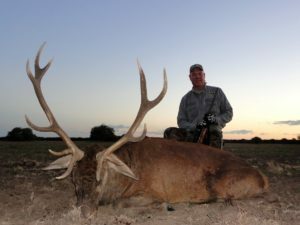 The accommodations were first class, meals were incredible, staff were all top notch professionals and the hunting has to be seen to be believed. That day of dove hunting is something I will never forget, what a blast! 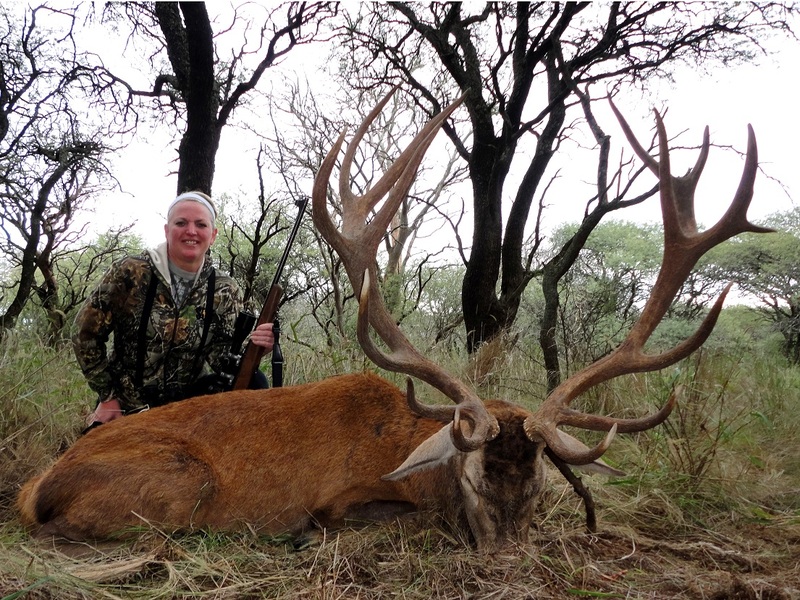 And that gorgeous red stag that Tracy took was the highlight of the trip for me! Thanks again for your wonderful hospitality and we look forward to the day we can hopefully return there. 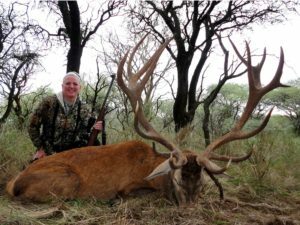 Alejandro, I wanted to thank you and your entire staff for a wonderful Free Range Red Stag and the Mouflon hunt this past season. The Hunting accommodations, menu and service exceeded my wildest expectations. I was made to feel more like friends than just a hunter while in camp. “TGB organized and coordinated for my all inclusive sporting trip to Argentina. The company owner, Alejandro, arranged for big game hunting (including indigenous species), wing shooting, fishing, and tour of Buenos Aries. Included was transportation to four locations very distant from each other. 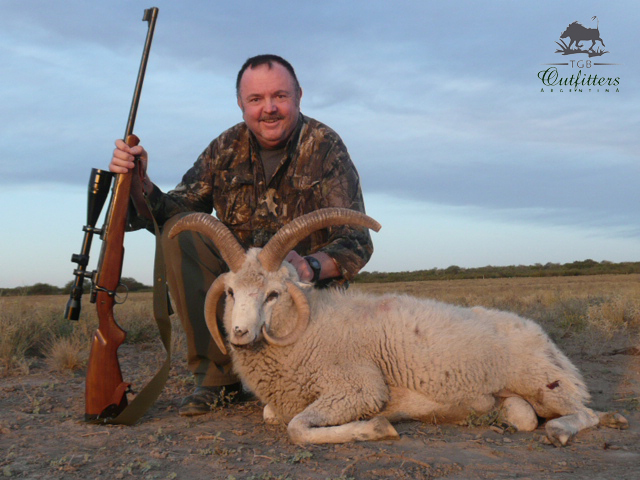 “We hunted with TGB Outfitters and the variety of species on the property was plentiful and of trophy quality. During our nine day stay we were able to take a Mediterranean water buffalo, a blackbuck, white fallow deer and a collared peccary. Alejandro, Danielle and their staff of knowledgeable guides and skinners, as well as cooks and house staff made our stay enjoyable and comfortable. All of the arrangements before, during and after our stay were handled professionally. Pam & Larry Claxton, USA. “Words cannot adequately describe or explain my experiences with TGB. Literally from the pre-trip planning until I returned home Ale and his staff made me feel as an honored family member and not a guest or client. The focus was upon what I’d like to accomplish and the best way to do it. Ale went out of his way to find a lost animal for me, finding it 3 weeks after I left and then arranged to have a shoulder mount for me. The food served on a regular basis included meat from the day before and surpassed 4 & 5 star restaurants hands down. 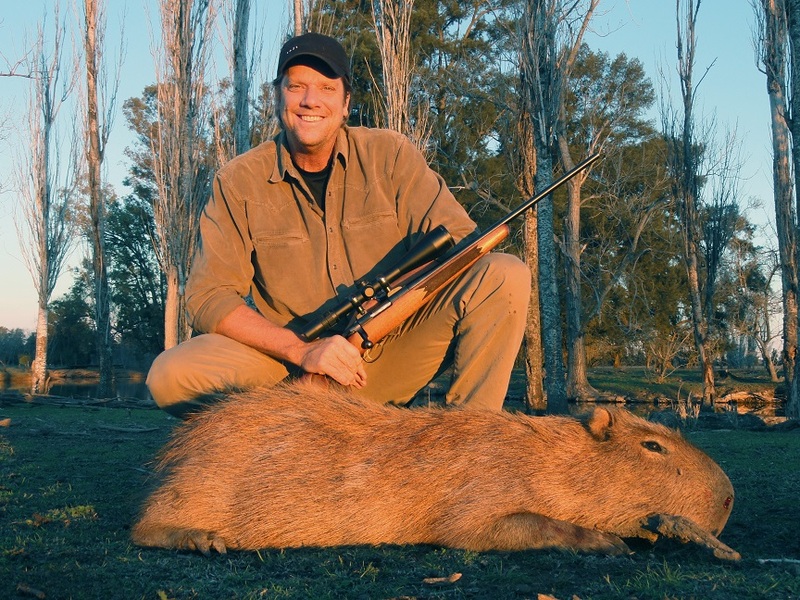 Lastly, Ale’s attention to detail and planning is unlike any I have ever encounter – not only for a very successful hunt, but for the time in Buenos Aires afterwards. “We enjoyed a fantastic hunt with TGB Outfitters. 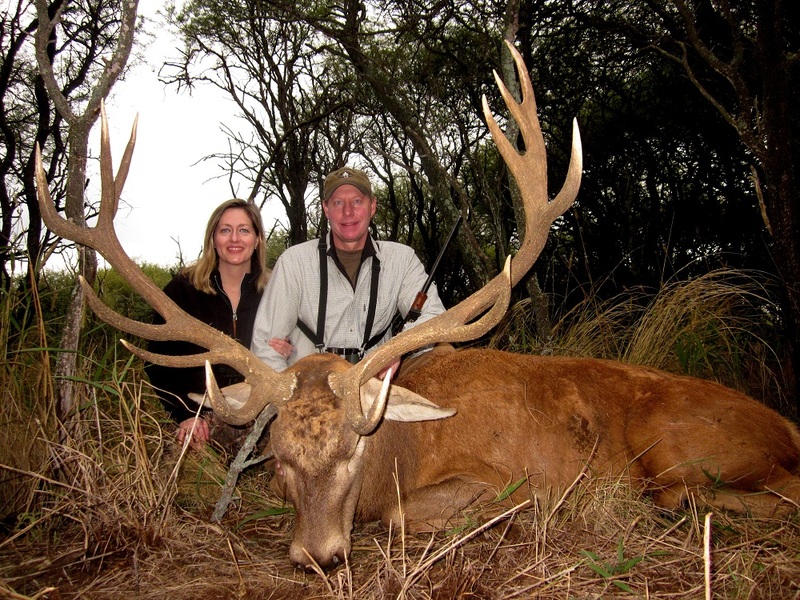 Everything is first class – the lodging, meals, equipment, and of course the hunting. 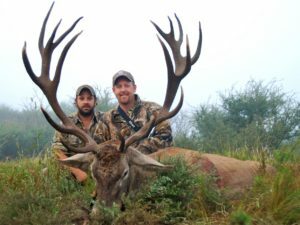 “TGB offers the best hunting experience, the total package, from pickup at the airport, lodging, side trips, a wide variety of hunting, great food, experienced guides, and expert care of trophies. “My father and I have hunted in many places together, and our experience with TGB was one of the best! The lodge, the staff, hunting area and availability of quality game animals, as well as trophy preparation were second to none. All of the details of our hunting trip from beginning to end were handled professionally without a hitch. The meals that we were served were without a doubt some of the best we’ve had on any hunting trip. “What a wonderful experience we had hunting and fishing with you. The quality of trophies taken and the amount of game encountered was amazing. You and your staff did everything possible to make sure our trip exceeded all our expectations. “If you are anything like me, a hunting trip is about experiencing new places, cultures, scenery and flora/fauna. 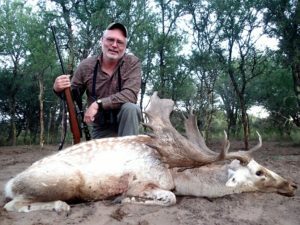 After 7 safaris to a couple of countries in Africa, I decided to explore South America, so I read about the different countries with good hunting. Argentina was the best destination I found. I went to the Dallas Safari Club convention and searched out all the companies from that country. After visiting with the principals of 4-5 outfitters, I met Alejandro Trigo, and my search was over! 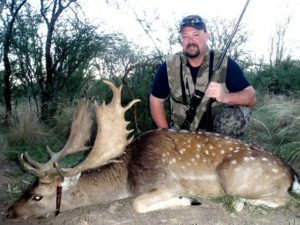 This was 2008, and I booked my first of many trips to Argentina with TGB Outfitters. 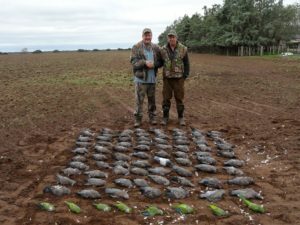 My time spent with TGB, from the guides to the meals and lodging accommodations, to the diverse range of huntable species, to the sight-seeing in La Pampa and Buenos Aires was incomparable! I have been back 6 times; fishing in La Paz, hunting in Chaco, as well as side trips to Estancias outside of Buenos Aires chasing capybara. The “old world” charm and graciousness of Alejandro and his staff make my trips memorable every time. TGB’s attention to every detail of my trip, from airport transfers to lodging comfort and excellent cooking prowess make these trips world class in every respect. Alejandro is better at English than I am, and his sensitivity to the needs of his guests keeps everyone comfortable and confident. 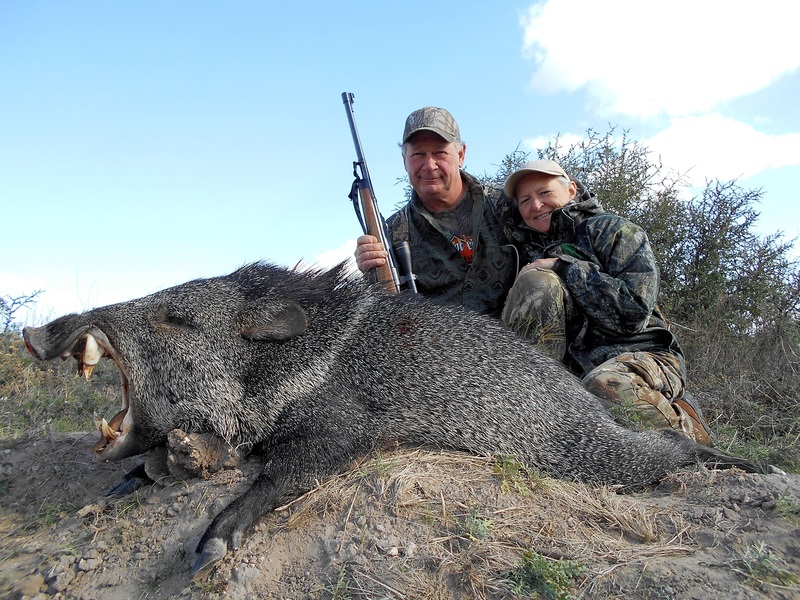 “I did not know what to expect when we signed up for “big game hunting” in Argentina with TGB. I kept thinking of millions of doves but I could not visualize world class big game hunting. What a pleasant surprise it was when we arrived and got a feel for the layout of the hunting area. The guides were very knowledgeable and friendly plus there was plenty of quality game. We had to hunt hard and it was challenging to stalk the different game.